Steve Bannon, who advocated protectionist, “America first” policies, is out. That’s a plus for the economy. But other foes of trade and immigration continue to influence Donald Trump. The centrists’ fight waged by Gary Cohn and others will get easier but it’s not over. 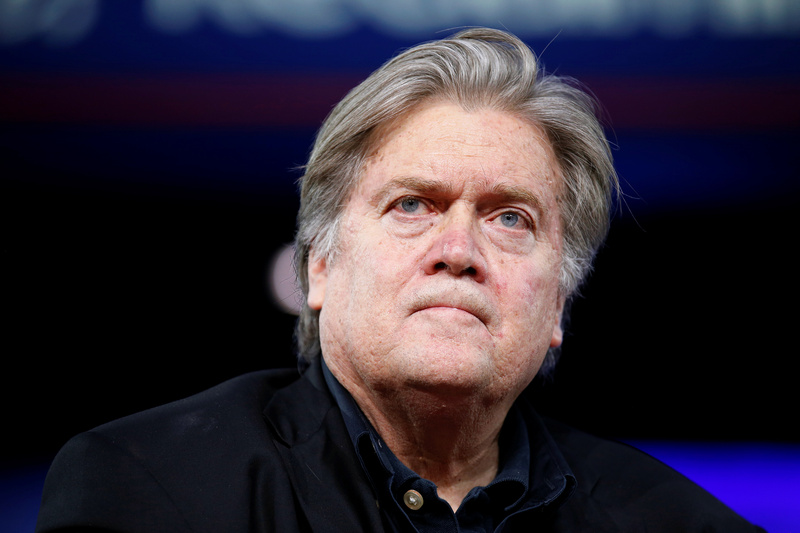 White House Chief Strategist Stephen Bannon speaks at the Conservative Political Action Conference (CPAC) in National Harbor, Maryland, U.S., February 23, 2017. The New York Times reported on Aug. 18 that President Donald Trump has told senior aides that he has decided to remove Stephen Bannon as White House chief strategist. Bannon had advocated for imposing additional tariffs on China and other trade partners to reduce deficits with those countries. He also pushed for the travel ban on citizens of certain Muslim-majority countries. Before joining Donald Trump’s presidential campaign, where he became chief executive, he was executive chair of Breitbart News.